Floor Plan apps available for PC, Mac, Android, and iOS devices have made it a lot easier for people to design their own home setup. My friend has just bought a small piece of Land in a Good locality. He wants to create a spacious well planned House but due to limited funds, he cannot hire an expert designer. My friend is an engineer and too choosy with his things, he wants to experiment with different design and layouts. He demanded a software that can help him with designing his own house easily using a simple GUI tool. I went through different software and online tools that made it easier and quicker to design your house floor plan or 3D preview. We tested many apps within a week to find some of the best available apps. We have selected a few to feature on this page. Ikea Home Planner : Ikea a well-known Furniture and hardware retail chain and they have introduced a Tool to plan your home design. You can go through Ikea Catalog and choose the various type of furniture and arrange them as per your home plan. 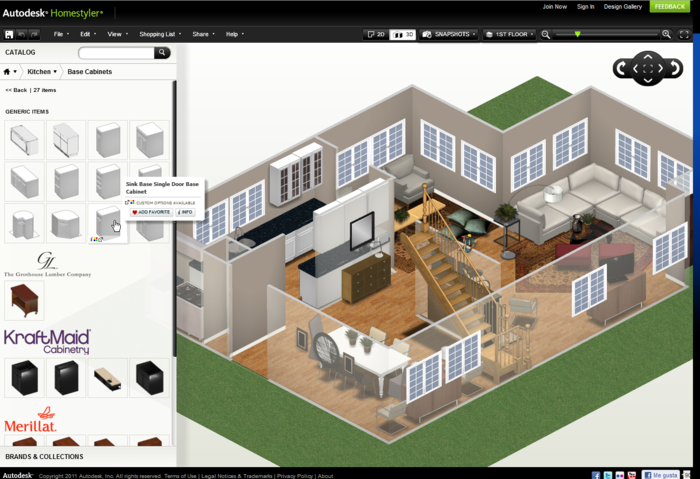 The tools are well built and customizable, to make a correct representation of your floor plan and décor. You will be able to calculate the cost of that look and will be able to print la ist of items you will need from Ikea store. 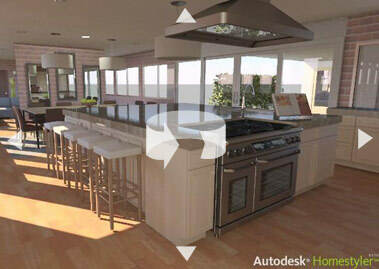 Autodesk is a well-known company, their products are widely used in architecture and construction operations. Homestyler is a free online app that will make it a lot easier and quicker to design and preview your house Floor Plan and Layouts. They have also created an iPad Tool that can be downloaded and used to iOS Tablets. 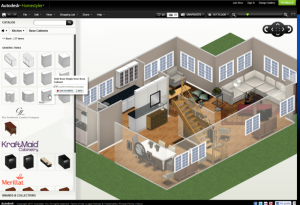 Homestyler is a well-detailed and feature rich tool to create walls, furniture, choose floor styles. You can also check out their Floor plan gallery to fetch some ideas and use it in your plans. Flash floor plan is a powerful tool and software for people who do not want to do it online. There is a gallery of objects that can be easily dragged and dropped to create different room layouts. There are options to assemble furniture, Floor gradients etc. Free Floor Plan comes with Free and Paid versions. The Free versions have all the major functionality but Paid one has more textures. As the name suggests this is a Floor plan builder. If you want a 3D Perspective view then this is most suggested Online tool. There is a limitation that it’s free to use for the 1 Project, for more you have to purchase the paid annual subscription. But do not worry the Price starts with $14.95 which allow creating 5 Projects a year. 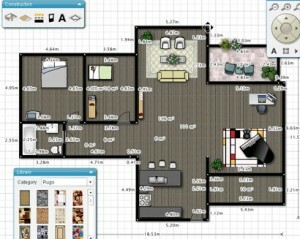 They also provide iPad and iPhone apps to design the Floor plans. You will not get higher resolution and 3D render in the Free version. Roomsketcher is an online tool that I came across, it is also available for Android and iOS users [I have not tried it on mobile devices]. It’s a great tool to draw floor plans, experiment with décor and you can visualize your project in 3D and that too in High definition. There is also a VIP package that will provide you access to some advanced features like taking pictures in HD, readymade floor plans and many other add on. Roomle is totally free for Unlimited Floor plans and as an online tool its competitor for Floor planner. You can draw and sketch Floor Plans with Windows, Doors, walls, etc with a simple drag and drop interface. You can also view your creation in 3D perspectives. You can also add furniture and texture to Rooms. Do you need a basic online tool to create a simple minimalistic Floor plan? PlacePad is a simple light tool to create Floor plans with photos and notes. You can create Floor plan but there is no option to add furniture, textures or view in 3D. It is also a kind of automated Floor designer, it will ask for a few details and then design the floor plan for you. It’s interactive and easily customizable. Gliffy: We recently discovered another great tool to create your House Floor Plan. It’s an online tool so work pretty well for all Mac, Windows, and Linux users. It’s a basic app but still fine enough to create simple floor plan diagrams as per your requirements. That’s all, we would like to know your views once you use any of these tools. If you know about any tool that you liked and is not mentioned here. Please do comment below. Also, stay tuned we will be bringing up another article on the best Android and iPhone apps to design floor plans. Floor plan creator Android app: If you want to create your home plan on your phone and do not access to PC then we would suggest using Floor plan Creator app, it is a free app available on Google Play store and there are few in-app purchases to use it to fullest. You can create flood plans and visualize in 3D. 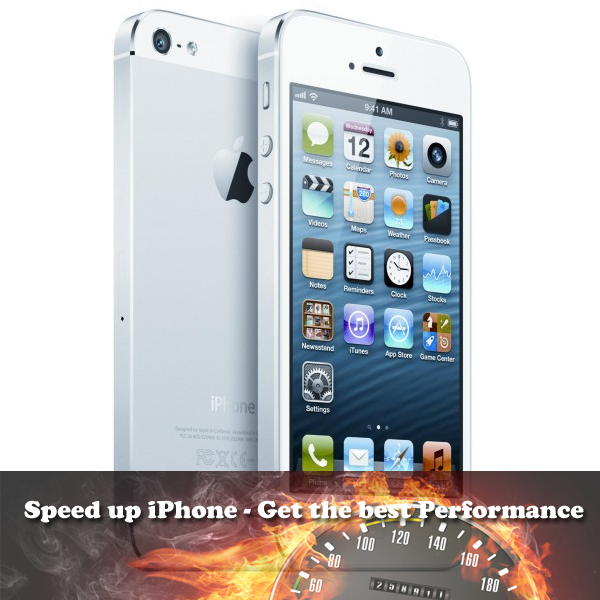 It’s a very detailed tool and people have praised it, you will find lots of positive comments on it. It also supports Bluetooth laser distance meters. 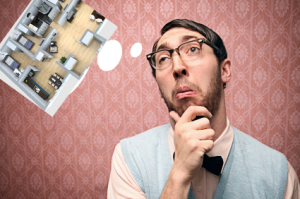 All your plans can be cloud synchronized and you can later view and edit them on your PC too by visiting https://floorplancreator.net. Room Scan pro: If you want the most advanced tool available for iOS then you will need to spend $4.99. It comes with great advantage that creating flood plan is made easy using advanced algorithm that can scan your room using the camera. You will need to hold phone against a wall and activate the voice command which will then scan the room. There is a bit of learning required to use this app and you will need to watch few video guides before your can go ahead. But this is most advanced tool and create perfect floor plan that will be of great use.